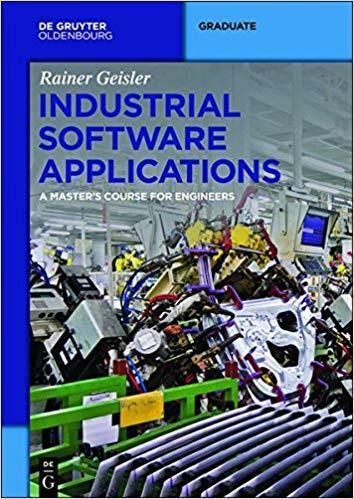 Industrial Software Applications A Master's Course for Engineers | Free eBooks Download - EBOOKEE! This book is written for engineering students and working professionals. Technical professionals are increasingly involved in IT issues, such as implementing IT systems, managing them, and taking part in requirements analysis/vendor selection. This book is written for engineering students and working professionals. Technical professionals are increasingly involved in IT issues, such as implementing IT systems, managing them, and taking part in requirements analysis/vendor selection. In this book, the basics of production planning systems (PPS) are covered, as well as their implementation in ERP-Systems like SAP. Readers also learn the basics of practical IT management and software creation through detailed, real-world examples. The book serves as a full 5 ECTS study module, which fits into any engineering curriculum. 150 multiple-choice quizzes, practical exercises and a text filled with experiential examples make it a convenient choice for selfstudy and for classroom use. No comments for "Industrial Software Applications A Master's Course for Engineers".